Blondie and Brownie: I'm Going to Pig Island. Are You? This year's Pig Island will be held on Governor's Island on Saturday, September 1st. From 11:30am until 4:30pm attendees will feast on 80 (!) locally sourced piggies. There will be beer from Sixpoint and local cider and wine pairings. Chef Dale Talde of Talde & Pork Slope, Anthony Sasso from Casa Mono, John Stage from Dinosaur BBQ, King Phojanakong from Kuma Inn & Umi Nom), Jacques Gautier of Palo Santo & Fort Reno, King Phojanakong from Kuma Inn & Umi Nom), Jimmy Carbone of Jimmy’s No. 43 and more! Early bird tickets for all the booze and all the pigs are still on sale for $70 until next, Monday, 8/27 when the price jumps to $85. This week I'm going to a press preview, so I'll keep you posted on all the piggy news that fits. 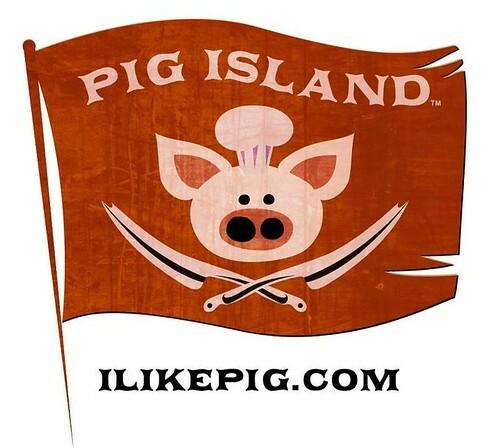 In the meantime you can keep tabs on Pig Island via twitter @ilikepig. SIDE NOTE: There's going to be a blogger BBQ sauce competition at the press preview...I've never made BBQ sauce. I'm a little scared. Any and all tips and suggestions are most definitely welcome!